Take note...Mayo International Choral Festival 2014 is on the way!! With less than two weeks to go before the start of the third annual Mayo International Choral Festival, things are really hotting up! This year, 35 choirs (over 1,000 singers) will be participating in the festival, at both a competitive and non-competitive level and once again, it promises to be a fantastic festival. 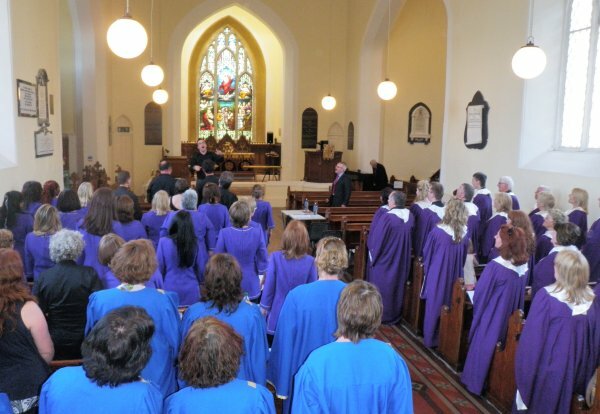 Thursday night May 15th will see the official opening with a wonderful concert in Holy Trinity Church, Westport at 8.30pm, featuring Morehead State University Chamber Choir from the U.S, Mayo Male Voice Choir and Westport Children's Choir. This will be followed by a reception in the Clew Bay Hotel. Concert tickets are €12 and are available from Downtown Records, Castlebar and Westport or on the door. 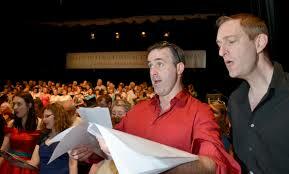 At 3pm, Friday May 16th, a choral workshop will be held in Christchurch, Castlebar entitled ‘Sing Up'. Open to all and presented by internationally acclaimed conductor and MICF adjudicator Bernie Sherlock, this workshop will advise on vocal technique, intonation, articulation and will feature a few choral treasures! For those interested in improving their singing skills and enhancing their choral work - this is one not to be missed! Tickets available from the Festival Office on (094) 9023040. Friday night sees the return of our community based Choral Concerts in Ballintubber Abbey (8.30pm), Ballina Arts Centre (8.30pm), St. Colman's Church, Claremorris (8pm) and Swinford Cultural Centre (8.30pm). All concerts will feature a number of our local, national and international choirs. Check local press for further details. Tickets available from Downtown Records and on the door on the night. Saturday May 17th will see the more serious aspect of the festival come to the fore with choirs competing in 10 different categories throughout the day. Competitions will be held in GMIT, TF Royal Theatre and Christchurch. (Check press for competition timetable). Competitions are open to everyone with an entry fee of just €5, payable at the door. 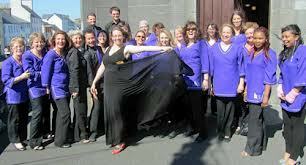 Also, watch out for several choirs entertaining on ‘The Choral Trail' in Castlebar town! The day will culminate in our Premier Competition which will determine the overall Festival winner at our Gala Concert in The TF Royal Theatre 8.30pm, Saturday night. Again this concert is open to all and promises a fantastic night of top class choral music with something to suit everyone's taste! Again, tickets are available from Downtown Records and on the door on the night. Sunday May 17th will see early risers (singers and non!) join in the Dawn Chorus at 8am by Lough Lannagh in conjunction with the Bealtaine Festival. While the people of Knock will have already enjoyed Cor Meibion Talgarth Welsh Male Voice Choir, sing at 3pm Mass in Knock Basilica on Friday 16th, local churchgoers can look forward to visiting choirs singing at church services in St. Mary's Church, Westport (10am), Church of the Holy Rosary, Castlebar (10.30pm) Sunday. All in all this festival, supported by Mayo County Council and discoverireland.ie, promises something for all and we would encourage the people of Mayo to rally round and give all of our visitors a weekend to remember and a longing to return! For further details log onto www.mayochoral.com and find us on Facebook.